Warranty: We guarantee design satisfaction, if for any reason you are unhappy with the designs we create, and we cannot come up with a suitable alternative - we will offer a full money back guarantee on your order prior to engraving of your design. (not applicable once your design has gone into production). DOUBLE WEDDING FAMILY CREST DESIGN Mens Cufflinks ~ Individually Laser engraved and handmade in England from Sterling silver - the perfect gift for special occasions, choice of our own Bespoke designs. A digital black/white proof will be emailed to you prior to engraving (new designs), just to ensure you are happy with the design for your cufflinks. Your Gent's Family Crest Cufflinks will arrive in a smart presentation box or our Luxury Polished wooden gift box available at extra cost. All Gents Silver Cufflinks are sent to the ASSAY Office for testing, before being stamped with the British Hallmark. Solid Silver Mens Cufflinks come with a sturdy silver curved boat back fastening. Our Standard engraving will be 'Facing You' and when worn the design will be upright to the wearer, if you would like the design to face away from you (to appear upright to any body admiring the cufflinks) please select 'Facing Away' from the design options. PLEASE NOTE that if you select ' FACING AWAY' the cufflinks will sit upside down in the presentation box. Q. Do I get a proof before my Silver Cufflinks are engraved ? A. Yes ~ we would never engrave your cufflinks without sending you a digital black and white proof of your design, then if you wish to make any alterations or amendments, we are more than happy to oblige. We offer a completely 'customizable' bespoke service to which you are the designer - we are just the instruments of your creation. Q. Do you make cufflinks in 9ct or 18ct Gold? A. Yes, 9ct and 18ct Gold is now available on request, but the cufflinks do need to be pre-orded as we do not keep gold in stock. Q. What is the difference between Matt Silver and Oxidised Ageing ? A. Oxidised Ageing is a chemical affect which reacts with the silver sending it black, the chemical is then buffed off in the polishing process, leaving a small residue amount within the engraved area, this helps to highlight the engraved design showing it up in greater detail. 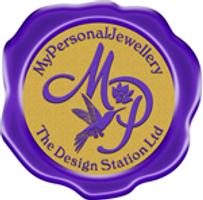 This is a service we offer totally free to enhance your customised cufflinks. Q. You do not have my family crest on your site ~ is there an extra cost to have it designed and engraved ? A,. As long as one of our templates is used within the design and we have the images available to create the design of the shield there is no extra cost involved. (extra charges may apply where we need to hand draw your shield design), please email us with a Google image of your design and we can send over our full set of templates. Q. Is there a discount if I buy more than one set of cufflinks? A. Yes we do offer a discount for two or more sets of cufflinks, which need to be purchased at the same to to qualify. Q. I have purchased cufflinks from you previously, but unfortunately have lost one - can you offer a replacement of only one cufflink ? A. Yes we can - let us know your previous order number and we can re-engrave just one cufflink for you at a discounted cost. (if you do not know your order number we can trace this for you).